Note: you need to purchase the Multiple Levels add-on in order to add more subscription levels. You can create as many levels as you need. 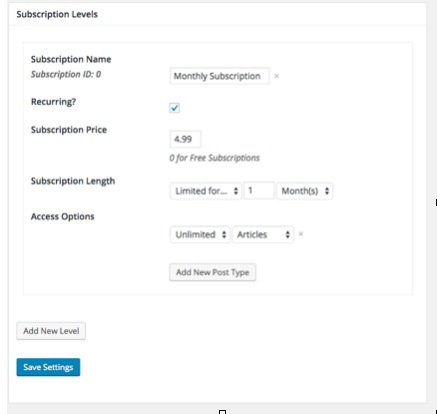 To add another type of Subscription, click on the Add New Level box.